If you work in a fast paced industry, you’re probably not sitting behind a desk, staring at a screen all day. You aren’t constantly refreshing your email, or shuffling through stacks and stacks of paperwork. Chances are, you’re active and up on your feet, which leaves little time for internal communication. For example, if you’re a nurse working a 12 hour shift, you might not be too worried about administrative reminders. Even if you have a company email, you probably don’t check it that often. Providing the patient with top level care is your main priority, as it should be. 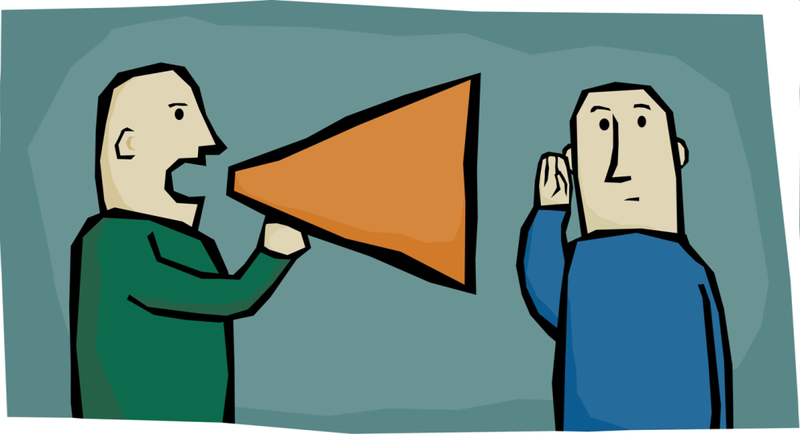 So, when it comes to important announcements or reminders, what do you do? Should staff members just count on an email blast? Although this isn’t completely ineffective, there is definitely a better way. Here’s 3 reasons why organizations should rely on text messaging for internal communication. A text message is sent and read within a matter of seconds. Word of mouth can’t even beat this modern communication method. Email messages aren’t always received immediately, as they might sometimes get caught in the spam folder, or be delayed if your internet connection is temporarily down. 2. A mobile device is always in close proximity to its owner. When was the last time you saw a healthcare worker go off the grid? This isn’t too common. The nature of this industry requires you to be available at a moment’s notice. With that said, you can almost guarantee most staff members have a phone attached to their hip. Instead of reaching them within a few hours, when they decide to hop on a desktop or check their email, you can reach them in a matter of seconds with text communication. 3. You can’t deny the wildly successful open rate. Even after all this, you might still be unsure. After all, healthcare isn’t like any other industry. In many situations, you’re focusing on saving a person’s life, so time and privacy are really of the essence. According to Pew Research Center, over 99% of all text messages are read within a matter of seconds. The same doesn’t hold true for emails. Now, after all this, you still might have a few questions or concerns. What if I have an emergency? How quickly can I send out a message? Top text message marketing provider, Slicktext.com, offers a “send from phone” option. This means you can type a message into your phone, hit send, and watch as it instantly reaches your staff. This is especially valuable in emergency circumstances. Alert all employees of a situation in a moment’s notice. Don’t rely on PA systems or email messages to alert employees, as these may not always be 100% effective. How do I prevent outsiders from joining our text communication list? Especially in this industry, it’s extremely important that internal messages don’t fall into the wrong hands. To prevent this from happening, only fire out opt in information to employees. If you send this information via company email, you won’t have an issue with unwanted list subscribers. Send out one email that explains how this method will be used and how staff members can take part. Should we forego email all together, and just rely on text communication? Absolutely not. Always use text messaging to enhance other internal communication methods. For example, if you just sent out a 12 page updated employee handbook via email, fire out a text that notifies your staff. Remind them to check their email and review new policies. But, for the shorter messages – maybe something like “Staff meeting at 2PM today in Cindy’s office, bring new account updates”, rely on text communication. As a whole, text messaging is a great and modern solution to internal communications. Partner up with top text message marketing provider, Slicktext.com today. Give us a call at 1.800.688.6290, and sign up for your free plan today.